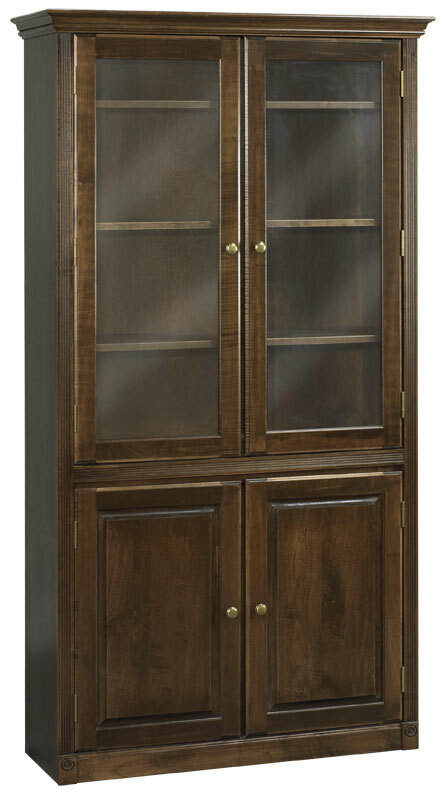 The following options have been added to many of the bookcases and cabinets on the website, but are generally available for other pieces as well. 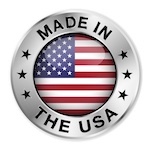 If they are not listed for a specific piece, please ask us and we can manually add the option for you after you place your order. 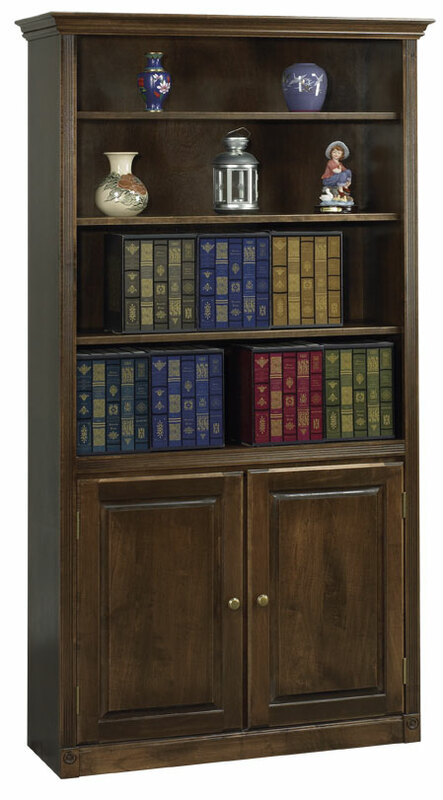 Raised-panel doors are standard on all bookcases and cabinets except for the Shaker style, which uses flat-panel doors. Glass-panel doors are standard on upper doors. However, any door style can be substituted for no additional cost. 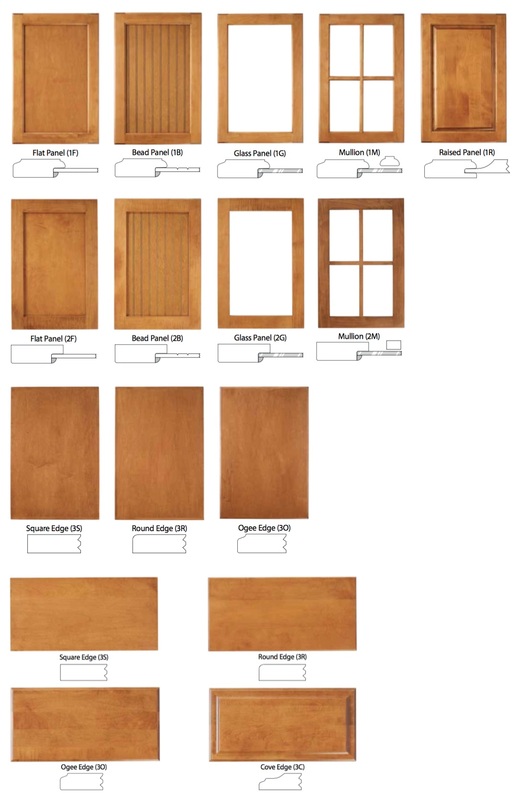 The frame on all door styles is 2-1/4"W. The Ogee profile drawer front is standard, but the Cove, Rounded, or Square profiles are available upon request. 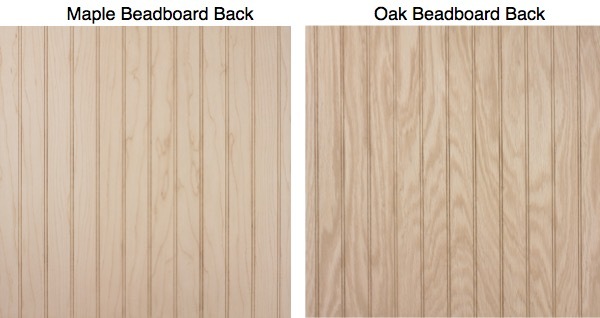 Any piece can have its plain back replaced with beadboard, as shown below. 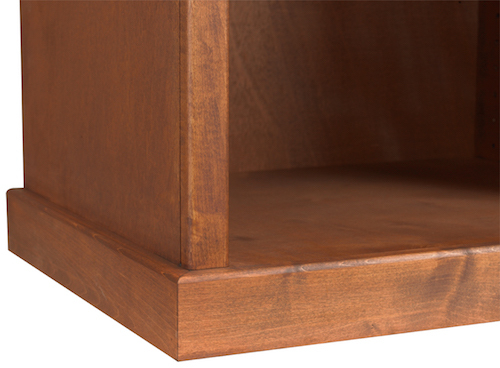 Pieces can be made with flush or mitered sides. The first row shows items of equal depth with moulding configured so that they can be placed next to each other. The second row shows items with a deeper center piece that requires a mitered cut so that the moulding goes back to meet the moulding on the shallow pieces. 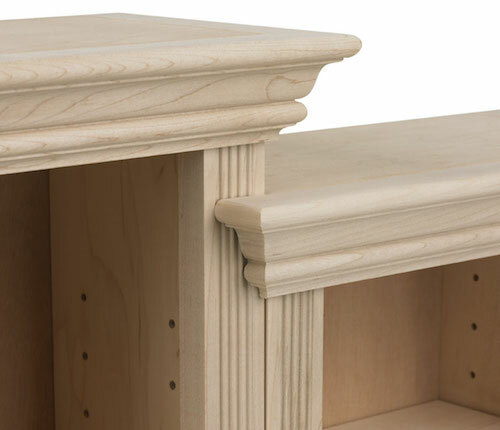 When you have two items of equal depth, but one is shorter, you can use a mini-miter cut so that the moulding of the shorter piece overlaps the taller piece. Enhance our Face Frame or Federal Crown styles by adding a 3/4” piece of decorative moulding to the top of the crown moulding. The overall height of the piece is increased by 3/4”. Base moulding also gets the Deluxe treatment. We can wrap the bottom of each piece with base moulding. The Deluxe Base eliminates the Federal style plinth blocks, but enhances the overall look. 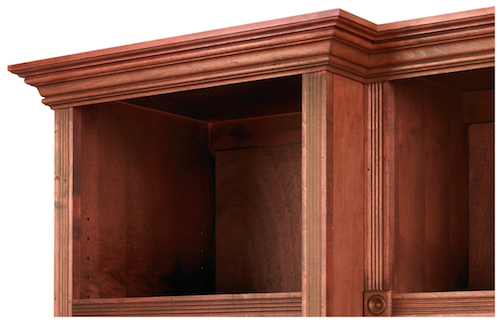 To achieve the “Built-In” look, our Deluxe Crown and Base have the following options: flush cuts, inside miters, mini miters, etc. 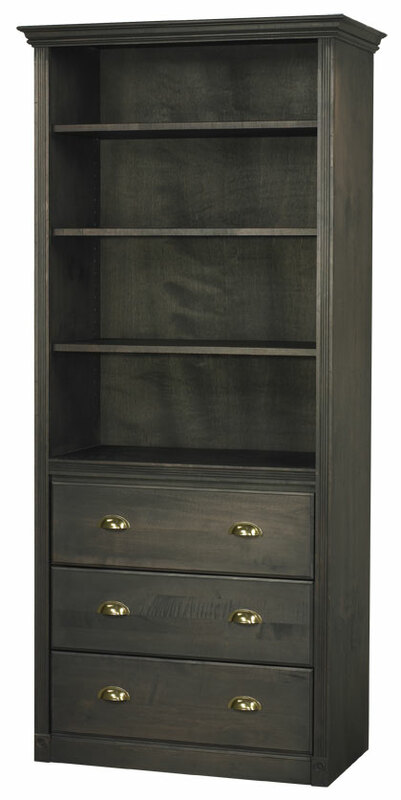 Please Note: All dimensions in the catalog are “ box” dimensions and do not reflect the thickness of the crown mouldings. For the Deluxe Crown Moulding, add 2” for each side it is applied to. For the Deluxe Base, add 3/4” per side. 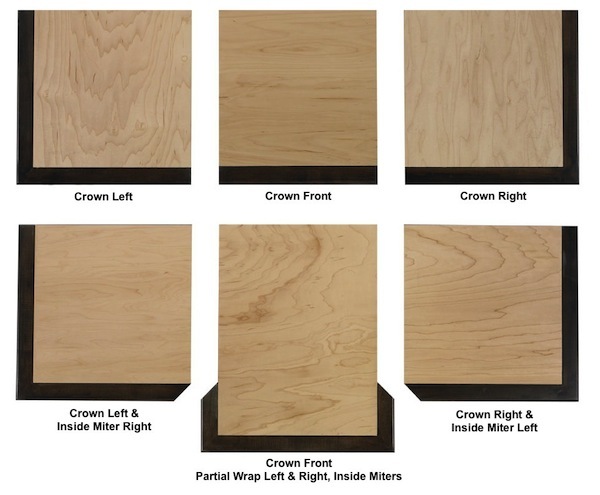 This additional 2" for the deluxe crown is NOT in addition to any other crown moulding. So, for instance, a Face Frame Crown unit has moulding that extends 1.5" to each side, but if you also add the deluxe crown, it will extend an additional 1/2" to each side and 3/4" to the height. 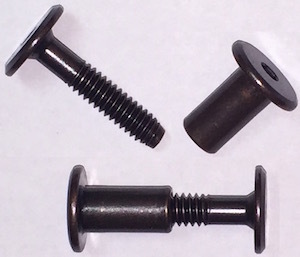 Any piece can have a set of four connectors installed so that two pieces can easily be connected together by screwing these connectors into pre-drilled and aligned holes. 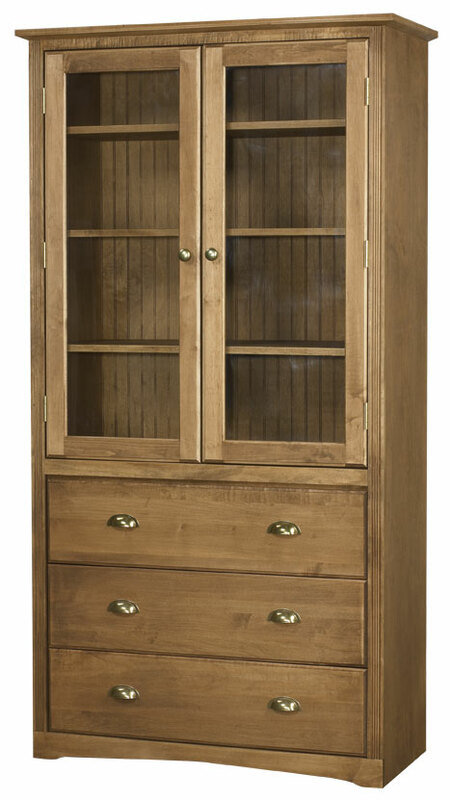 Any piece can have a strip of wood attached to the top inside. This provides a thick piece to drill through into a wall stud for permanent installation of built-ins. 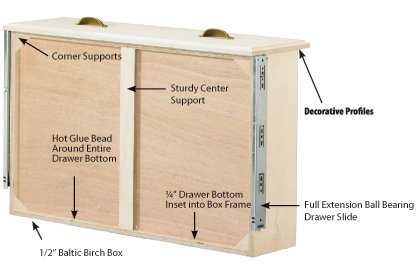 All drawers are constructed of 1/2” Baltic Birch drawer boxes and equipped with full extension ball bearing slides. The 1/4” drawer bottoms are inset, have a hot glue line around the perimeter for added rigidity and also come with center/corner supports. Normally, pieces have a stapled-on back, but if you plan to remove it to finish it a different color, or for any other reason, we can use screws that are much easier to remove than staples. Normally, the 1/4-inch thick back is attached directly to the back, which means that the overall depth is 1/4" deeper than the stated depth. This option means that a 1/4-inch deep notch is cut into the top, sides and bottom so that the back can fit into a slot. Then, the piece will not be any deeper than the stated depth. Each style has a particular base style, but we can change the base so that you can mix and match the features of a piece. For instance, a Shaker piece has an open base, but we can change it to have a closed base and still keep the Shaker top. A Face Federal Crown piece has a closed base, but we can change it to have an open base. If you plan to place a piece so that it is flush with the wall, but you have base moulding around the room that sticks out, you either need to remove the base moulding from the walls or we can notch the back of a piece so that it fits over the existing moulding. Please let us know how tall and thick your base moulding is so that we can make the notch the right size. This can only be done at the back of a piece, not on the sides. Other options are available, but have not yet been added to the website. If you are interested in any of these, please ask and we can manually add it after you place your order. The bottom of most pieces are designed to sit on the floor. They have a 2.75"H base that is recessed and unfinished underneath. This option changes the base to a shorter 1.5"H rail that matches the sides and adds a flat bottom and also adds a mounting strip so that it can be hung up on a wall and look better when viewed from below. This also reduces the height of the piece by 1.25" and adds 15% to the price.